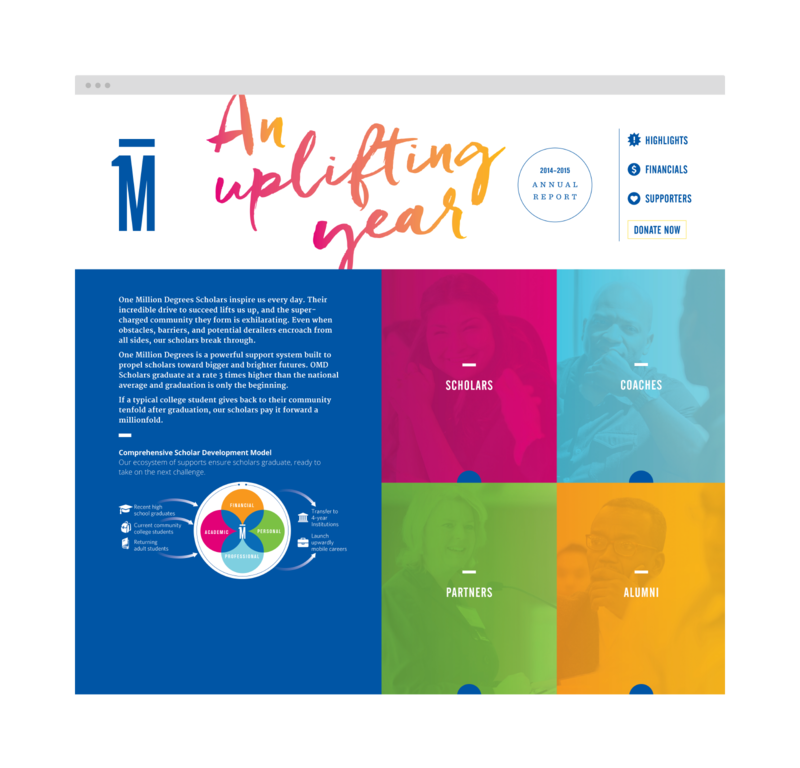 Each year we sit down with OMD to focus on the past year’s accomplishments. 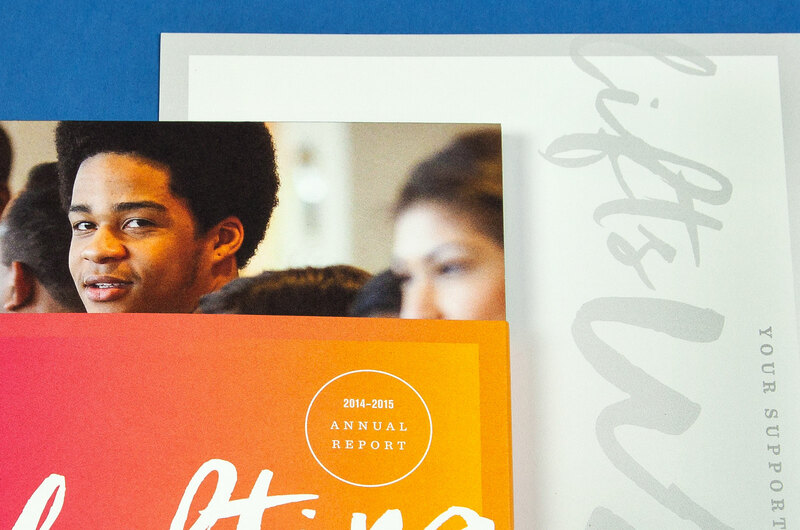 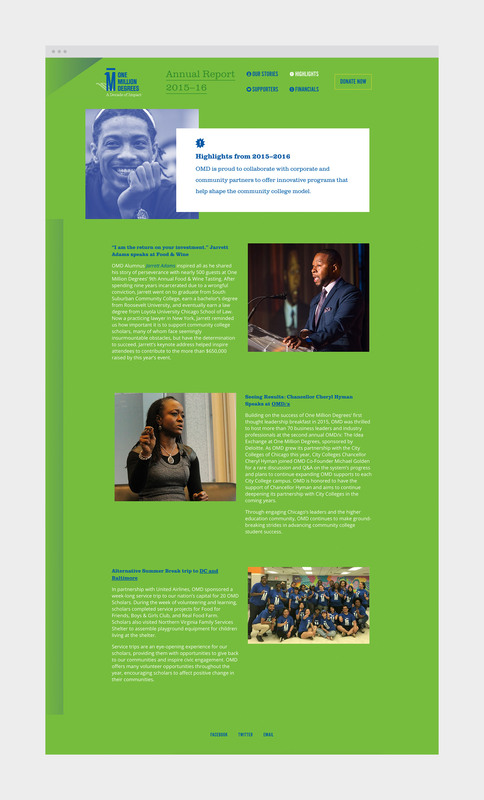 The amazing scholars, coaches, and partners, combined with the excitement of the organization, inspires us to design an annual report that is truly unexpected. 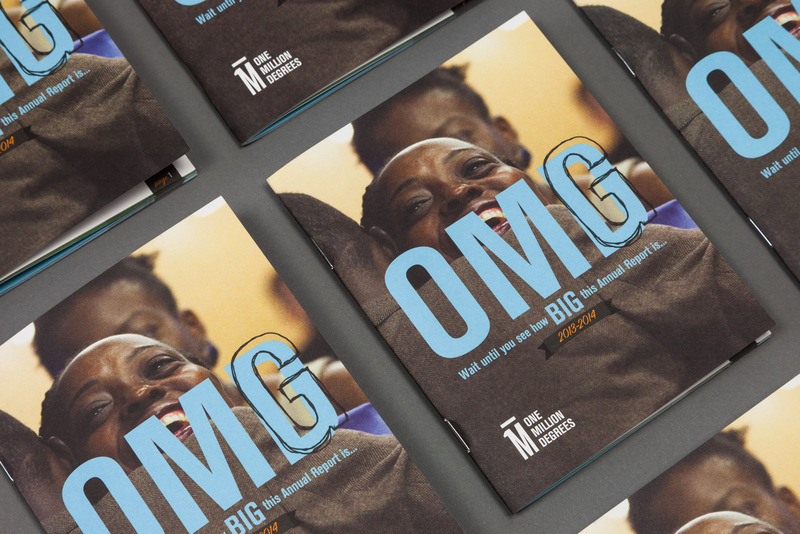 From uplifting stories of the OMD family to a game-changing expansion, the annuals celebrate its thrilling success and growth. 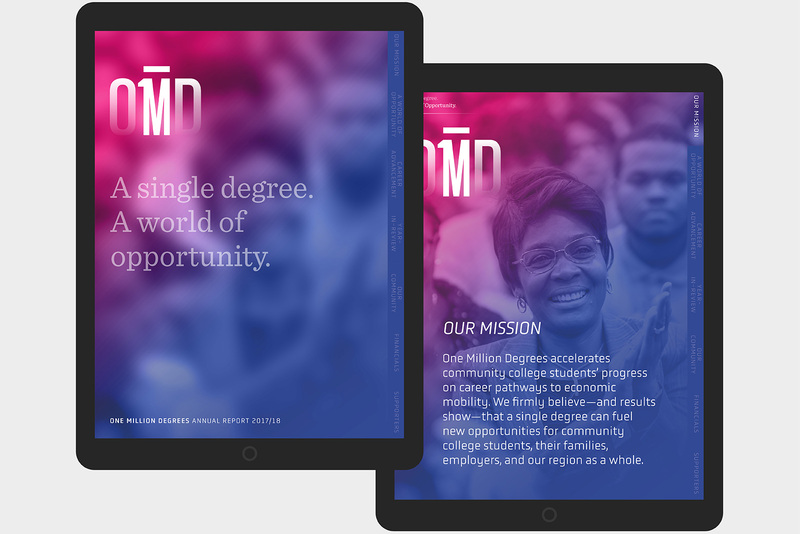 To see more OMD work, visit their brand and collateral. 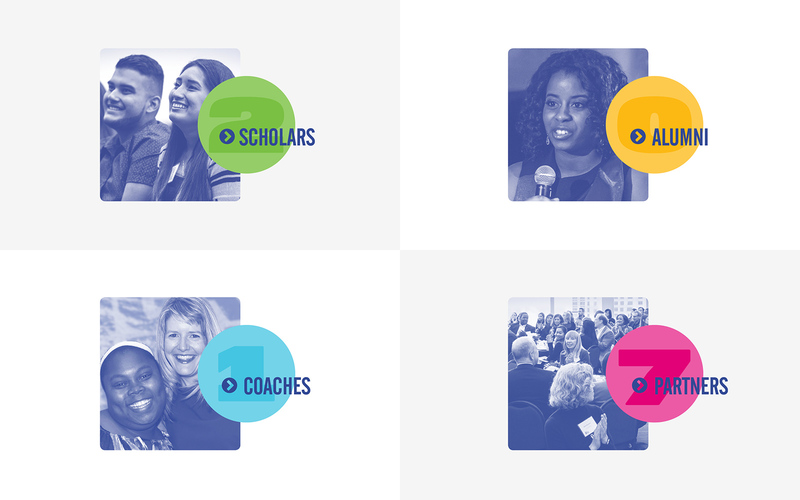 Bark’s founder is honored to be the featured Coach alongside his former scholar, Jackie Sanchez. 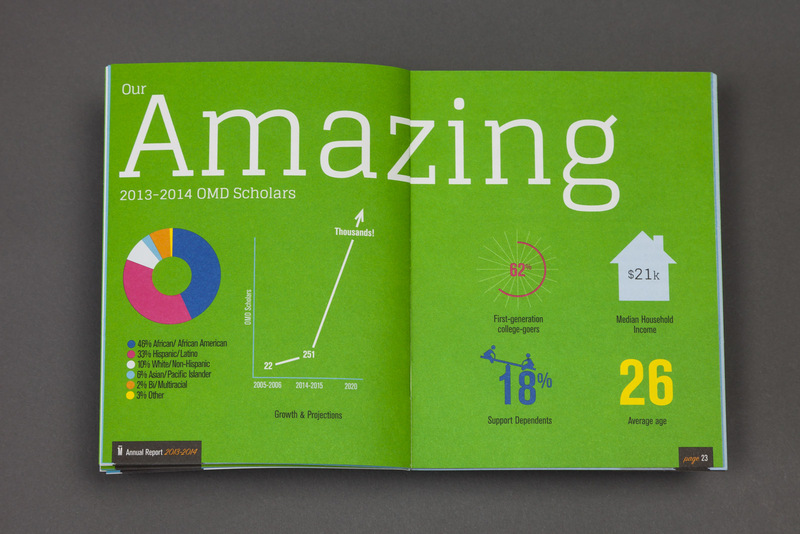 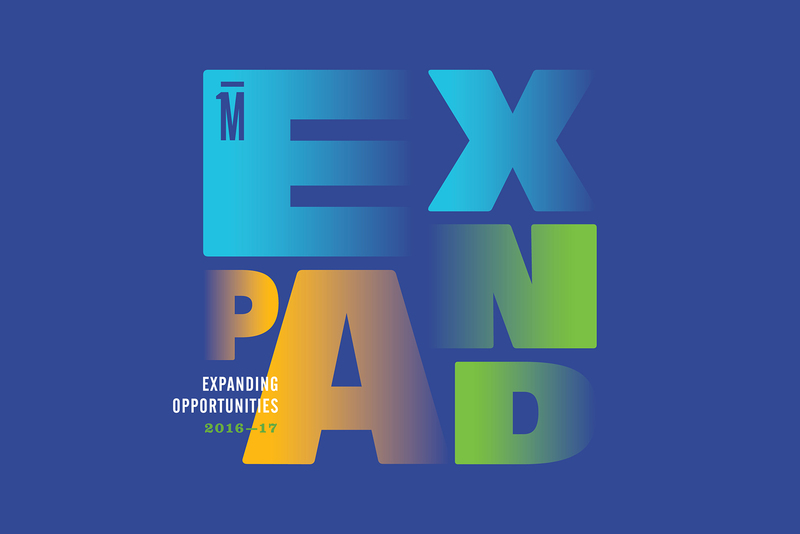 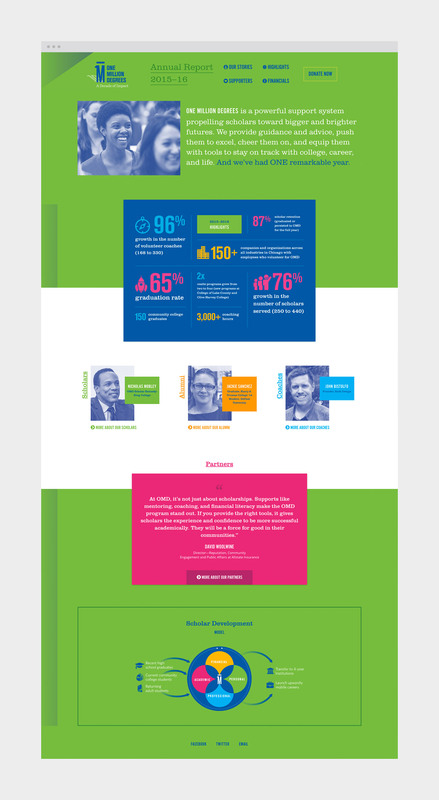 OMD wanted people to “interact” with the 2014-2015 Annual Report. 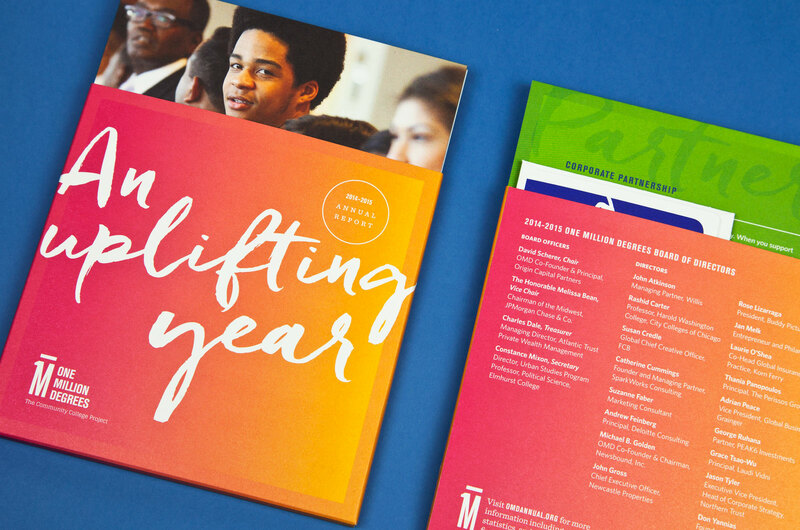 To accomplish this and to highlight its uplifting year, we created both print and online versions of the annual. 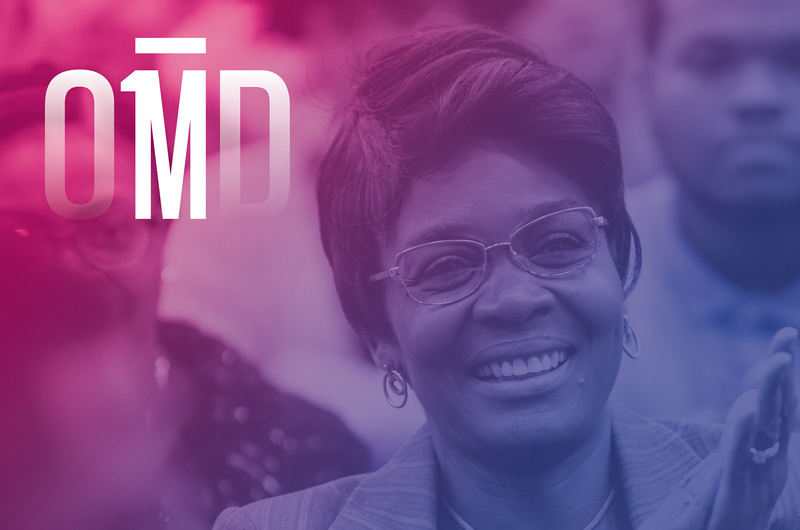 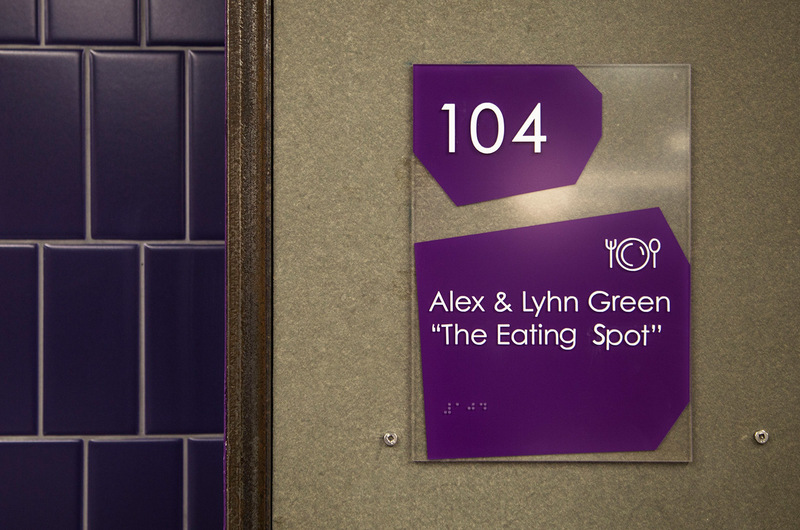 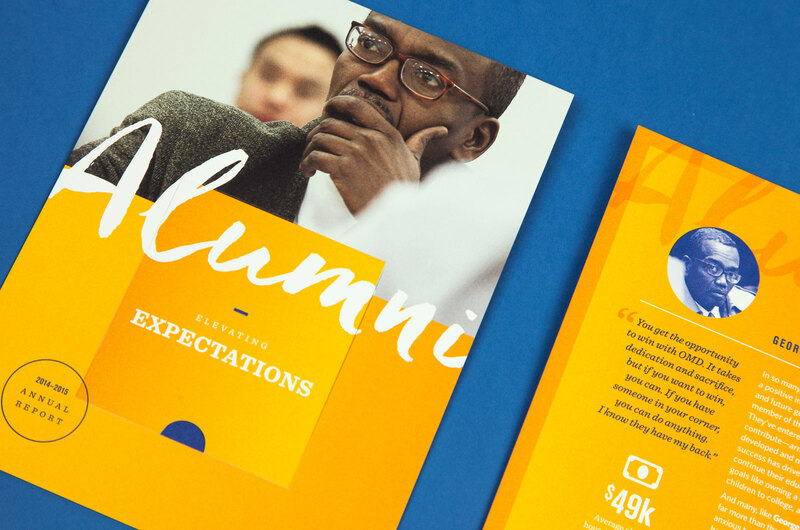 Bark conducted interviews with scholars, coaches, alumni, and partners to hear first-hand their deep connections to OMD, ultimately weaving their stories throughout the suite of materials. 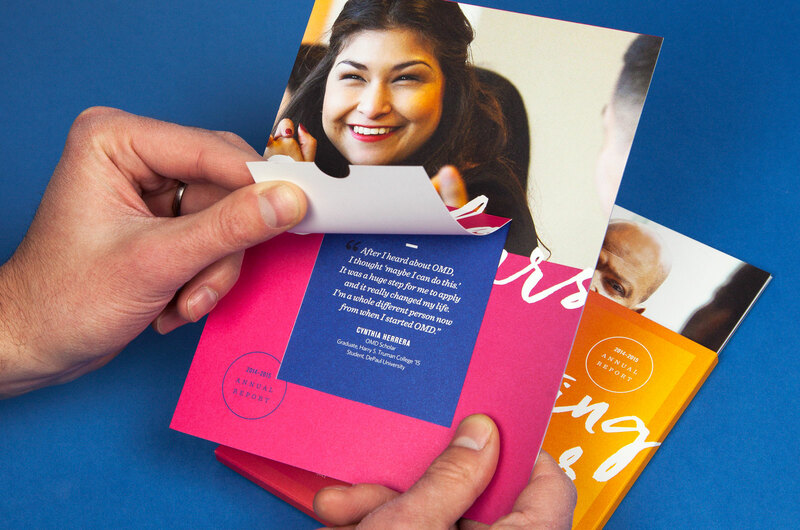 The printed annuals—mailed to a select audience segment—contained a series of individual cards with window-reveal quotes and snippets of stories that drove readers to a fully functional microsite, allowing them to interact with the annual. 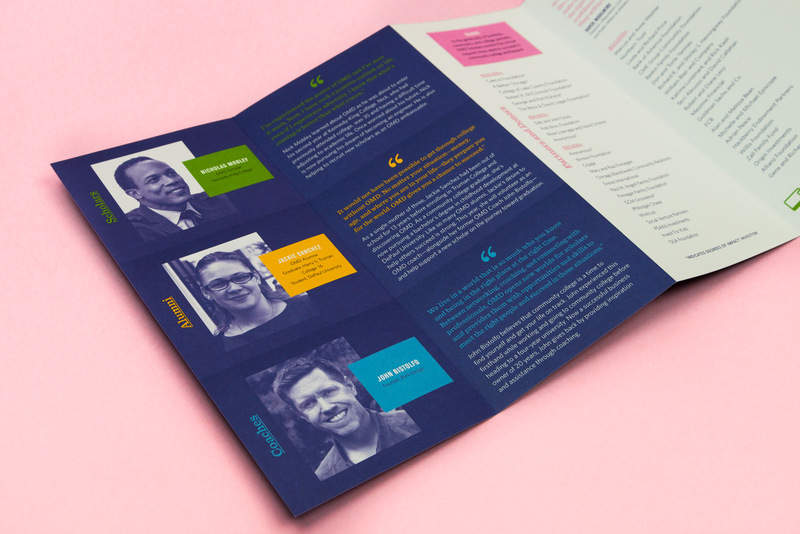 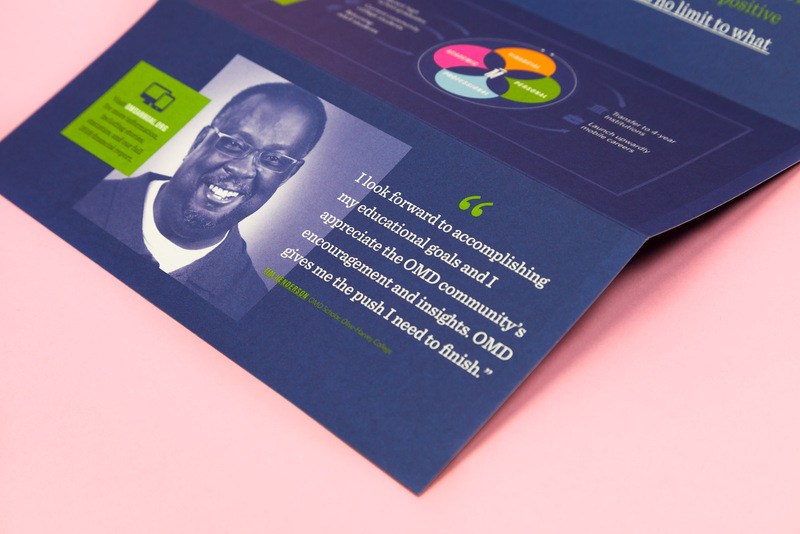 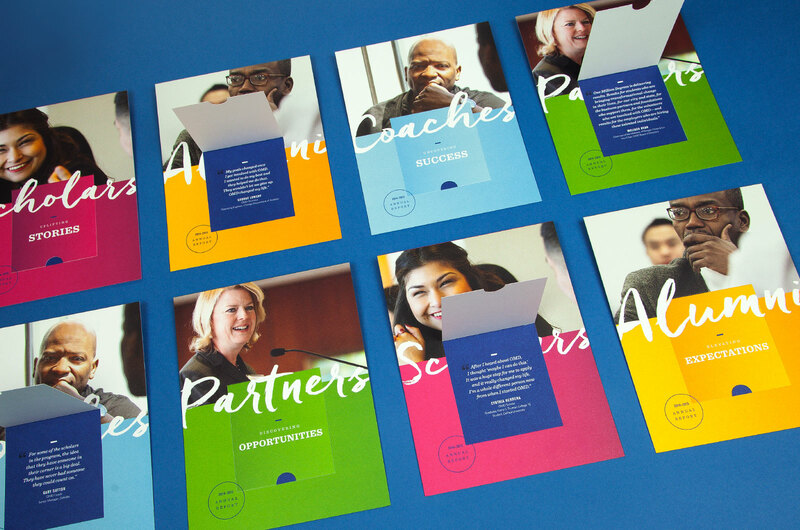 The individual cards further display how the distinct stakeholders make up the whole of OMD. 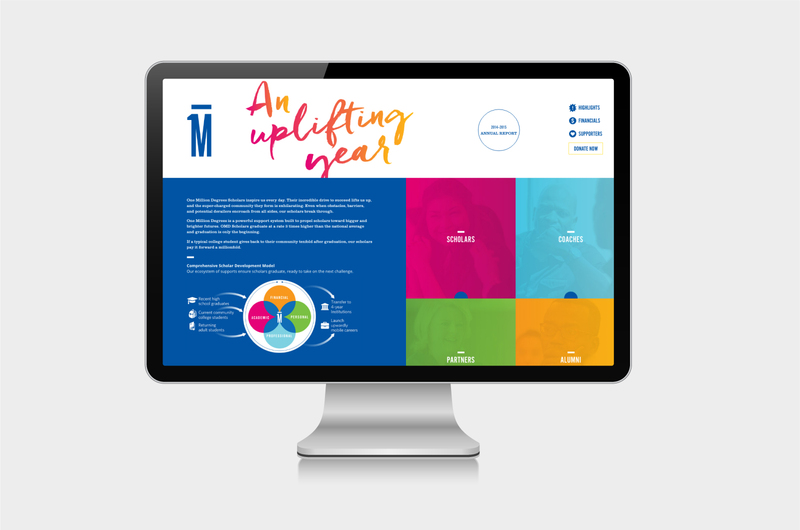 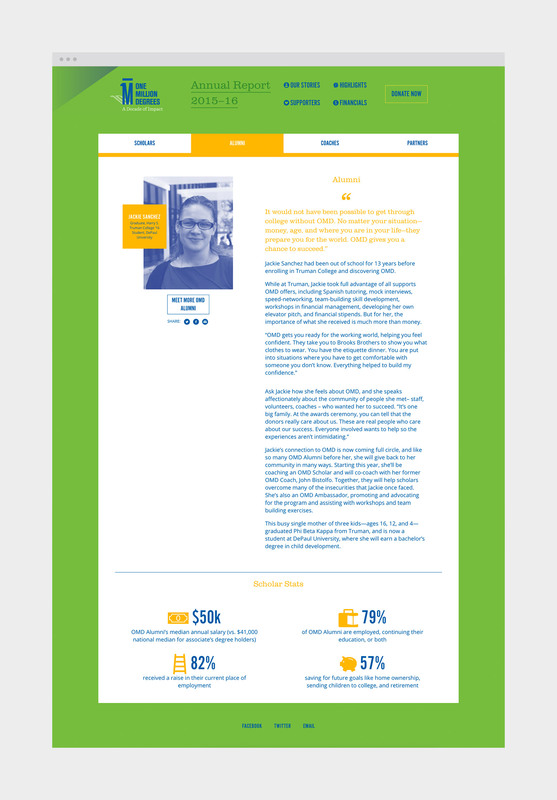 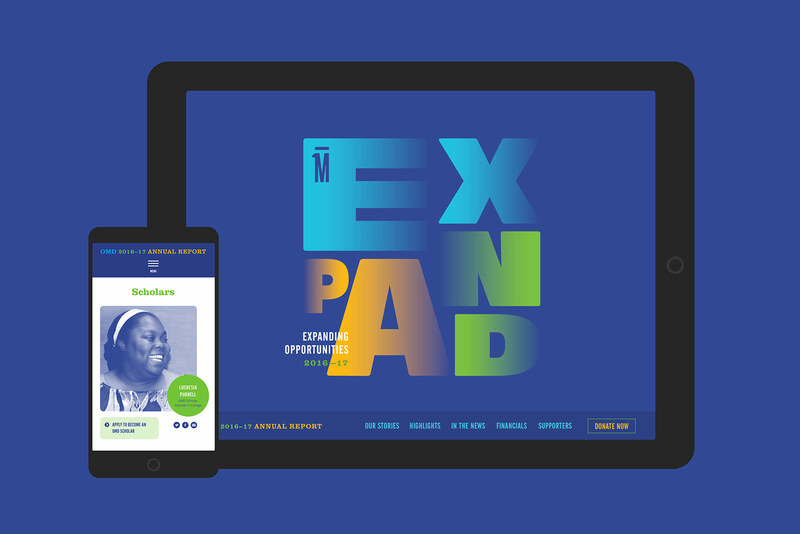 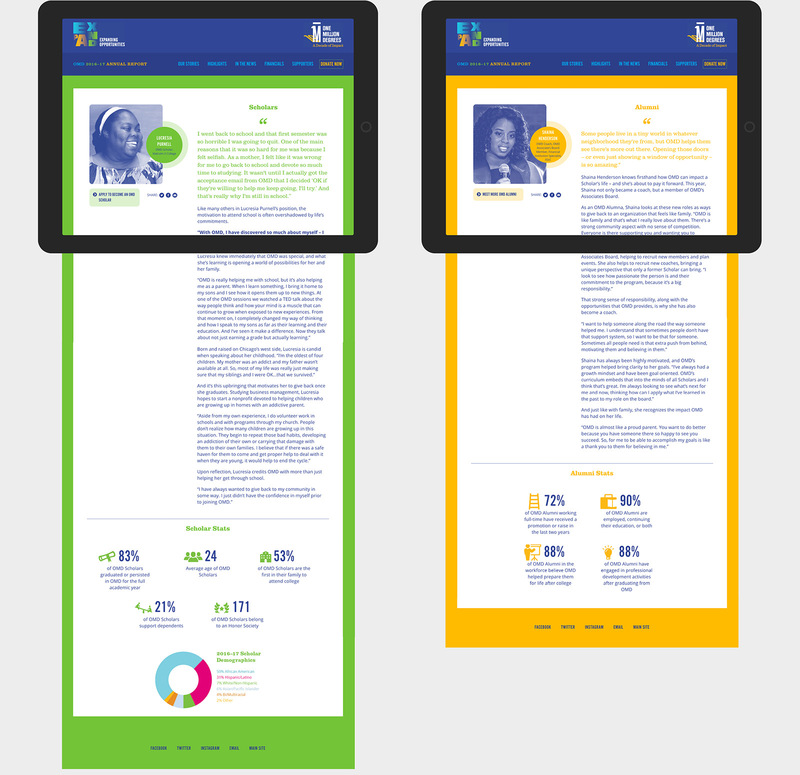 The microsite was designed and developed to achieve OMD’s goal and to complement the printed annual. 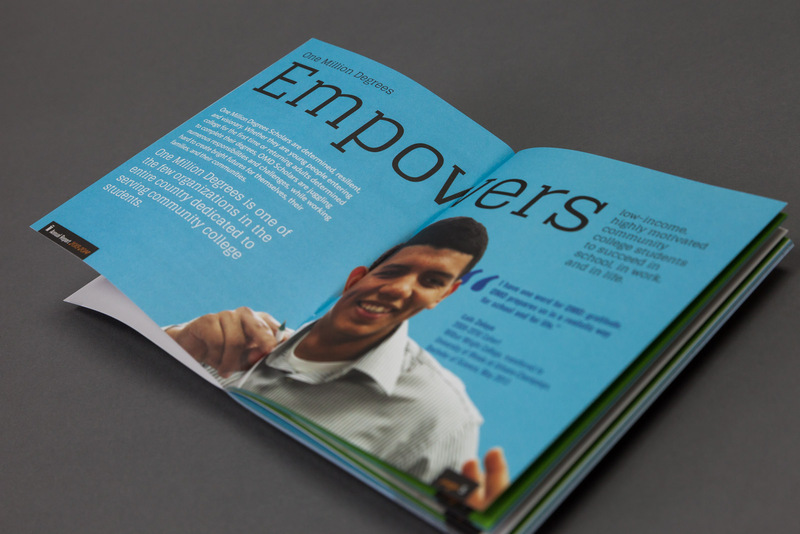 In addition to full stories from key stakeholders, financial and supporter information was included. 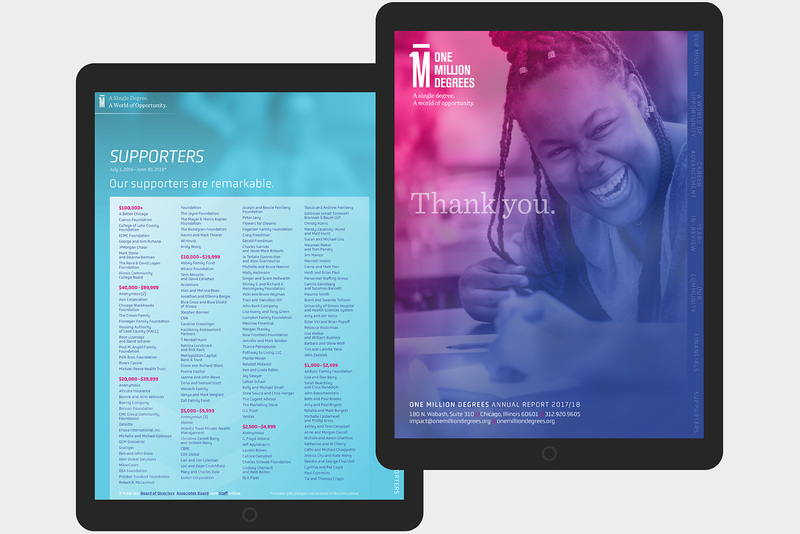 The dual components of the annual provide a fully integrated and interactive experience for OMD’s community. 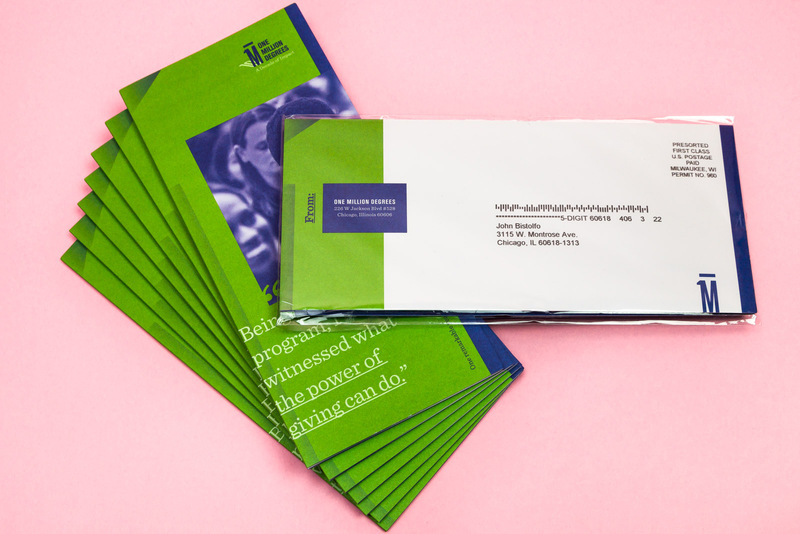 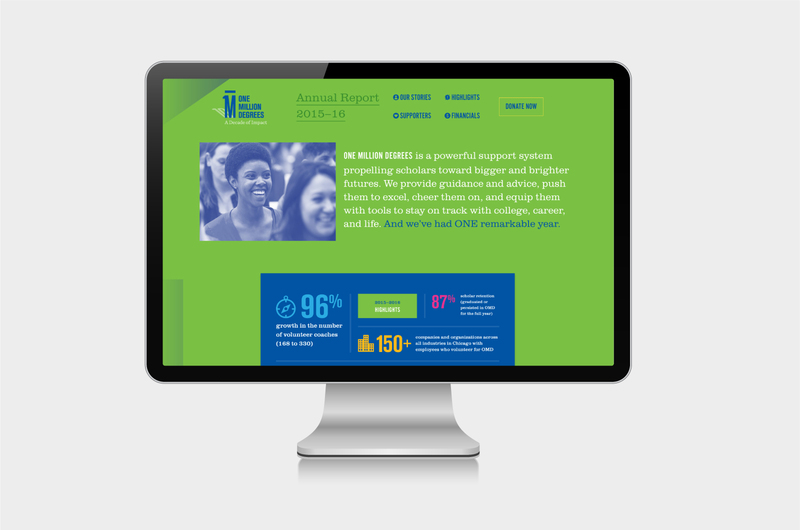 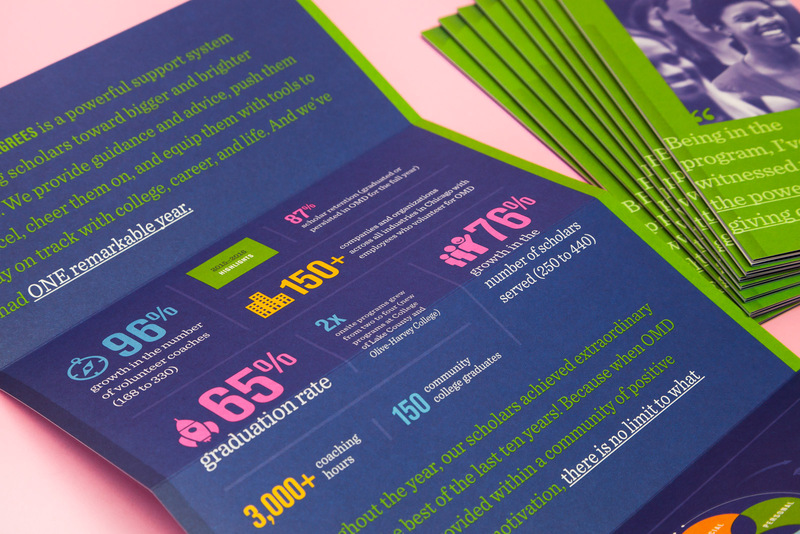 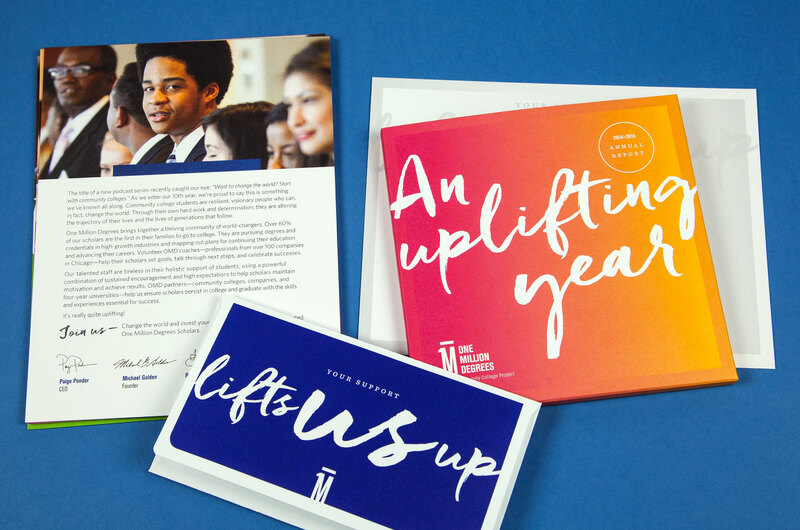 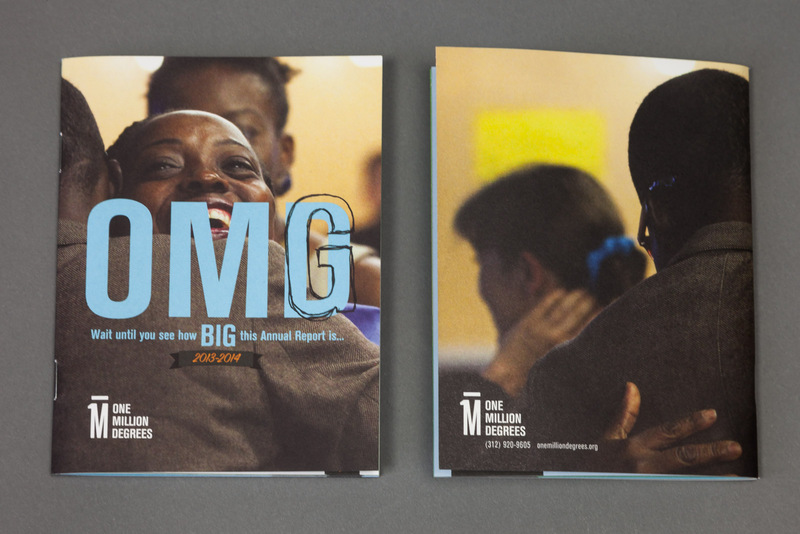 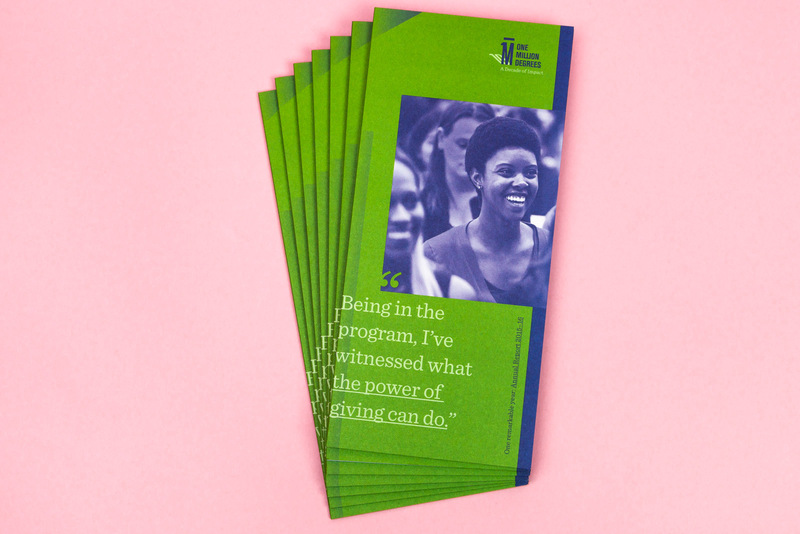 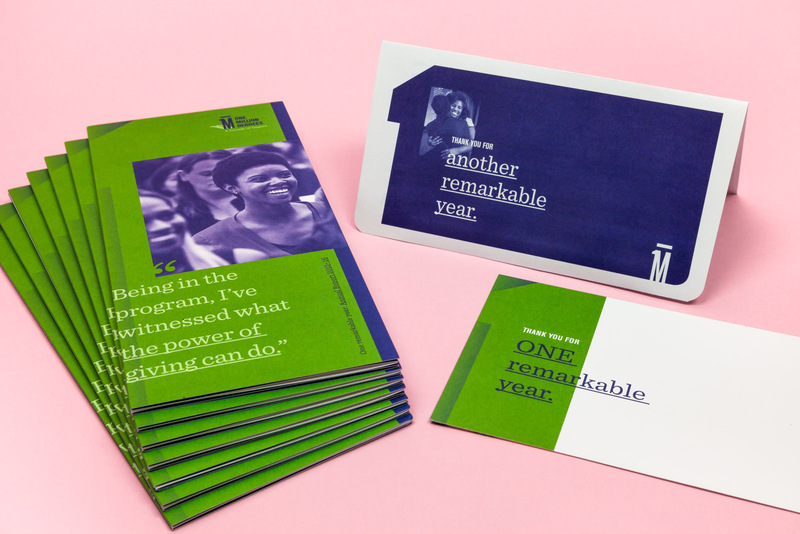 Upon hearing of the accomplishments of the 2013-2014 year, our first words were, “OMG, wait until they see how BIG this is.” By designing a small-size annual report, we invited the reader into the narrative, allowing the impact of the words and design tell the story. 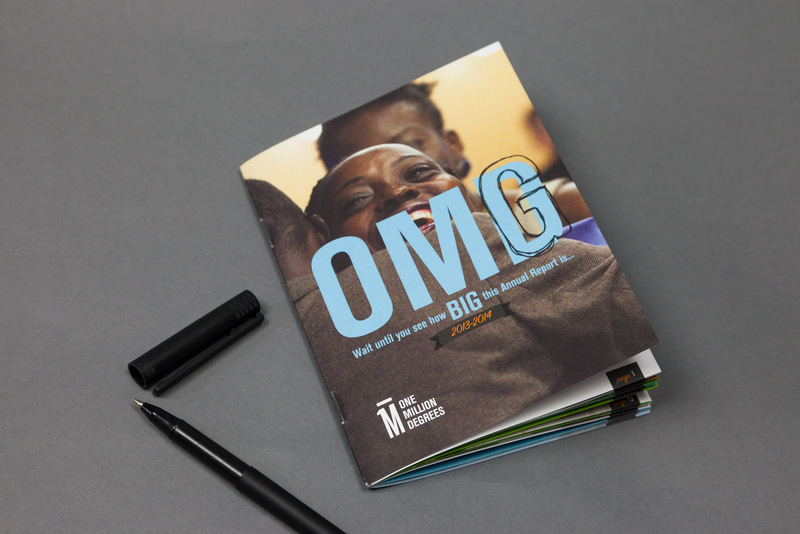 The cover type—OMD with a hand-written G over the D (to create OMG)—fills the reader with a sense of anticipation and excitement. 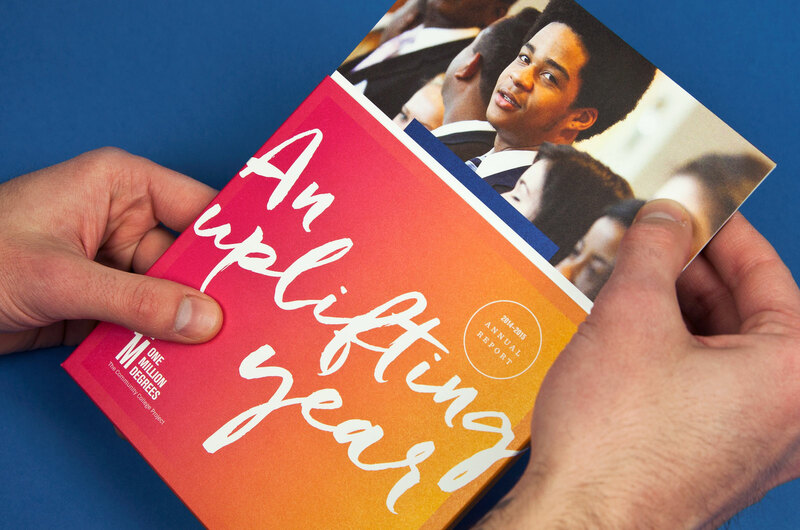 As soon as they turn the cover, they immediately get a sense of how BIG, thrilling, incredible, and amazing the year truly was.